At the 2012 Chicago Marathon, 37,475 determined runners finished one of the largest and best marathons in the world. 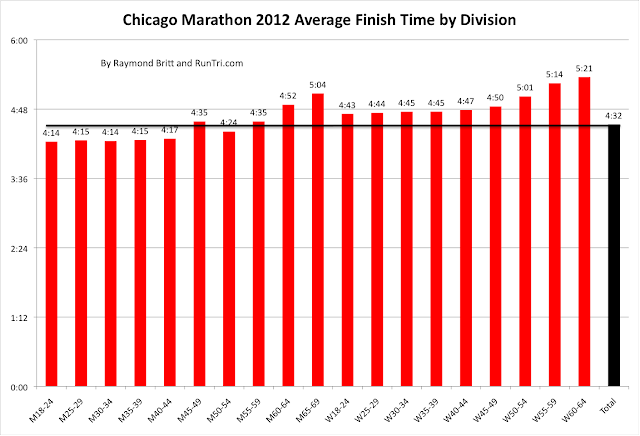 The average finish time of 4 hours, 32 minutes, fairly consistent with averages in past years, keeps Chicago among the slightly toughe of RunTri's Top 25 Hardest/Easiest Marathons. 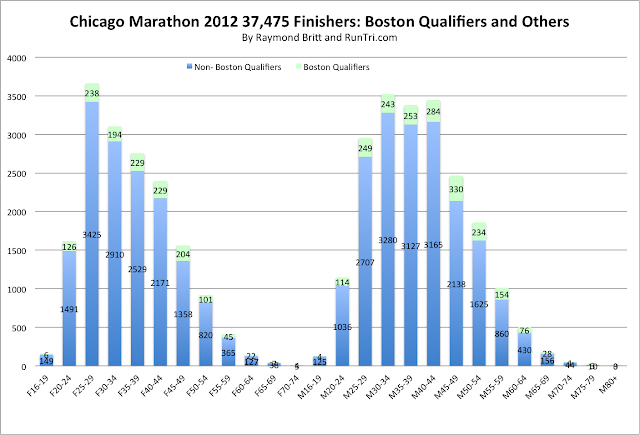 Of the total finishers, 9% or, 3788 athletes, ran times that met or beat Boston Marathon qualifying standards. 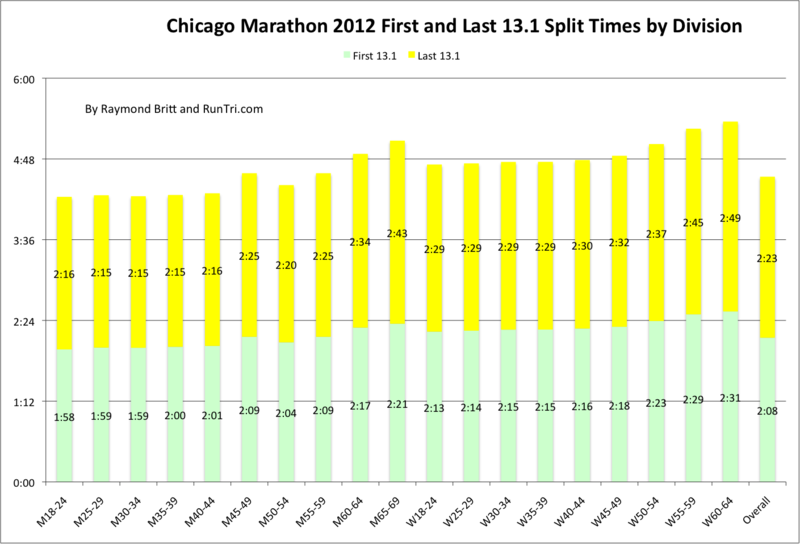 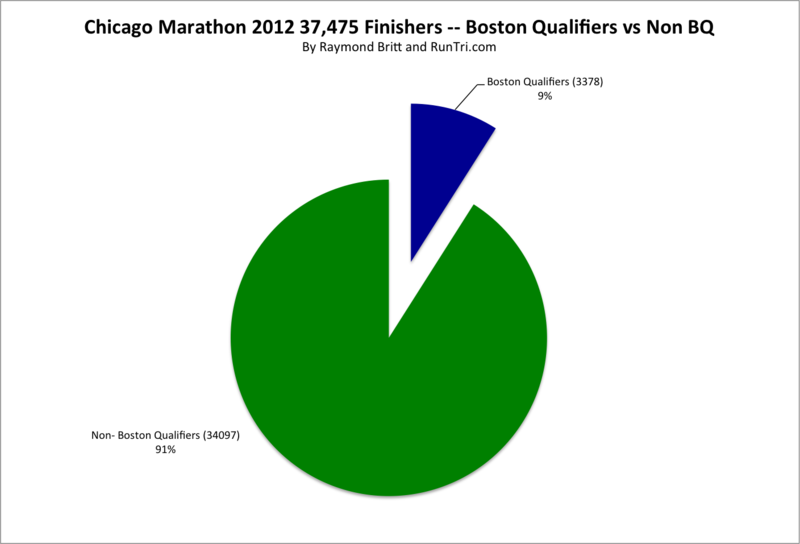 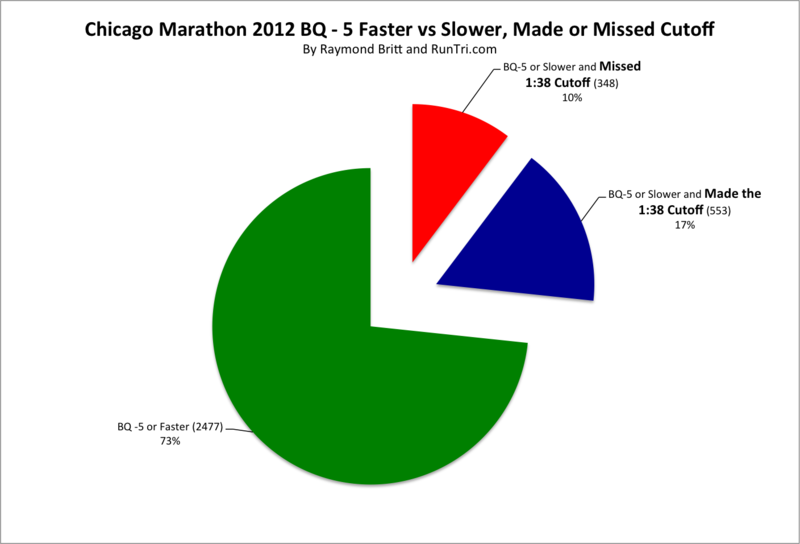 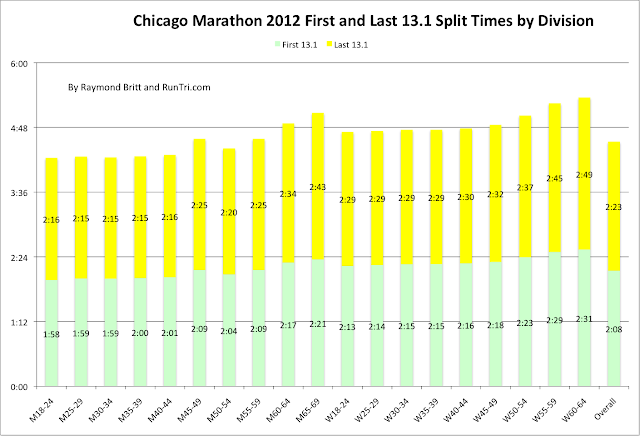 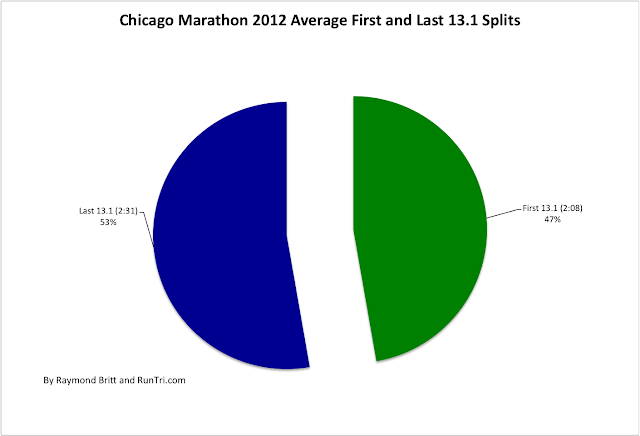 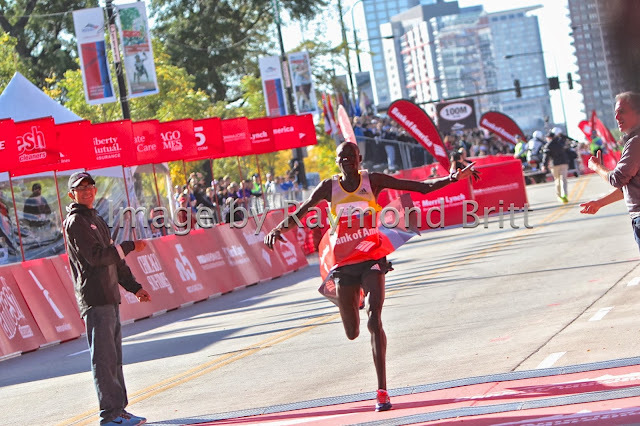 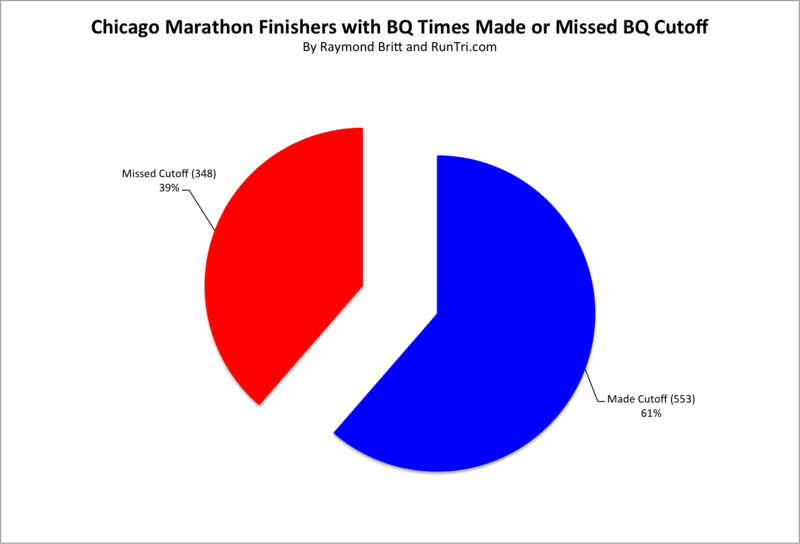 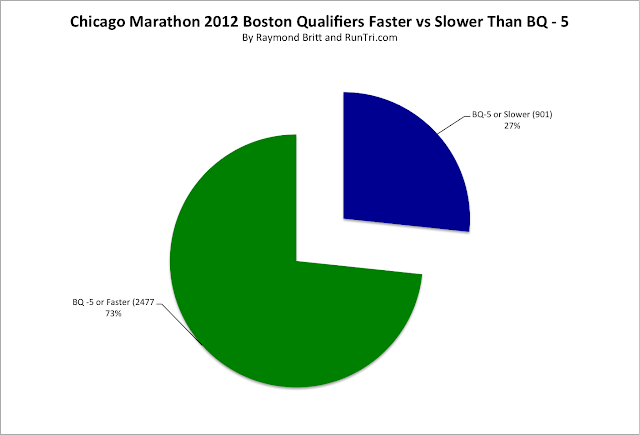 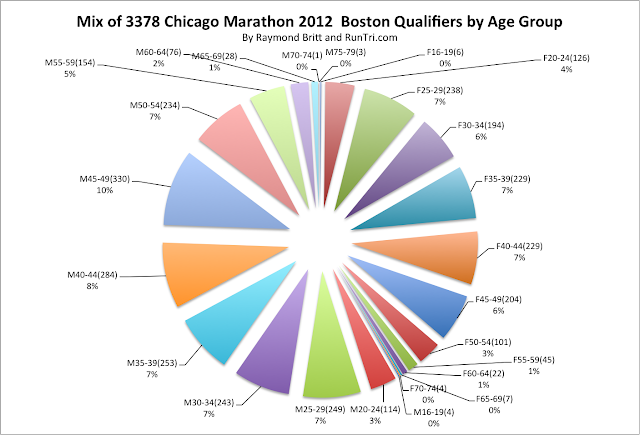 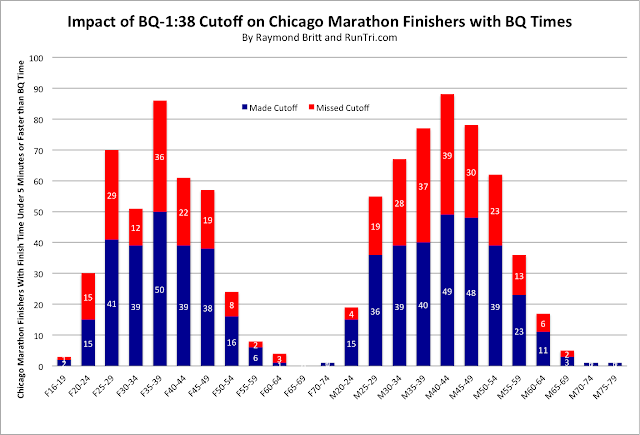 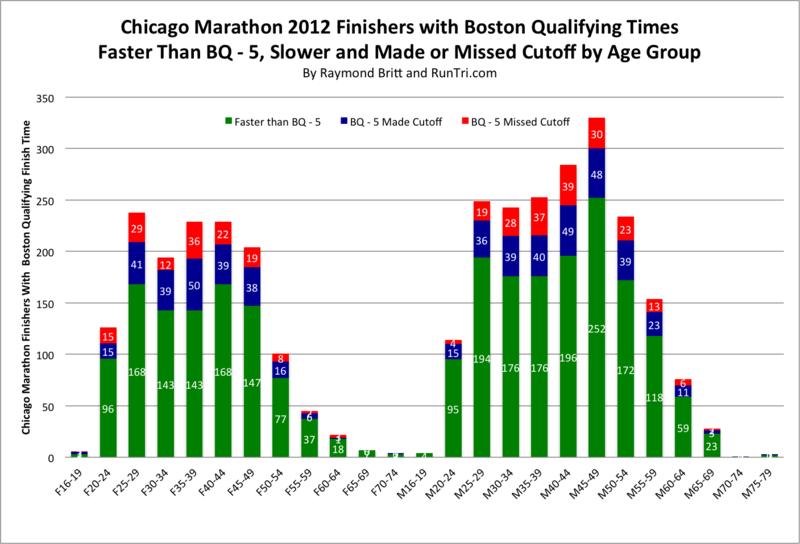 We've run the numbers on the 2012 Chicago Marathon, and here are results, overall, by split, by age group, and by Boston Marathon Qualifying rates.